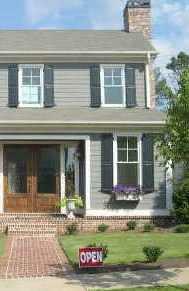 Adams Parc is a newer community of homes located in Dekalb County, City of Dunwoody GA 30360. Conveniently located just 2 miles outside the Perimeter, Adams Parc is a charming enclave of 5 custom homes. Most lot sizes are one third acre. Estate Homes built 2011 to 2012. The average list price for a home, at time of post, is between $381,000 to $400,000.